Not so many years ago if someone said they’d seen a bald eagle their sanity would’ve been questioned. However, thanks to the hard work of conservationists around the country viewing an eagle is not such an unusual sight. In 1995 the Bald Eagle was reclassified from “endangered” to “threatened.” On June 28, 2007 this majestic bird was removed from the Endangered and Threatened Species List. Females are up to 25% larger than adult males. Females may have a wingspan up to 96″ while adult males can have wingspans as small as 66″. Adult Bald Eagles, both male and female, have dark brown/black bodies with a white head and tail. In the wild thier average lifespan is around 20 years though at least one captive bird lived for nearly 50 years. While their primary diet is fish they will take advantage of carrion, particularly in the winter. They have been known to “steal” fish from egrets, herons and other birds. 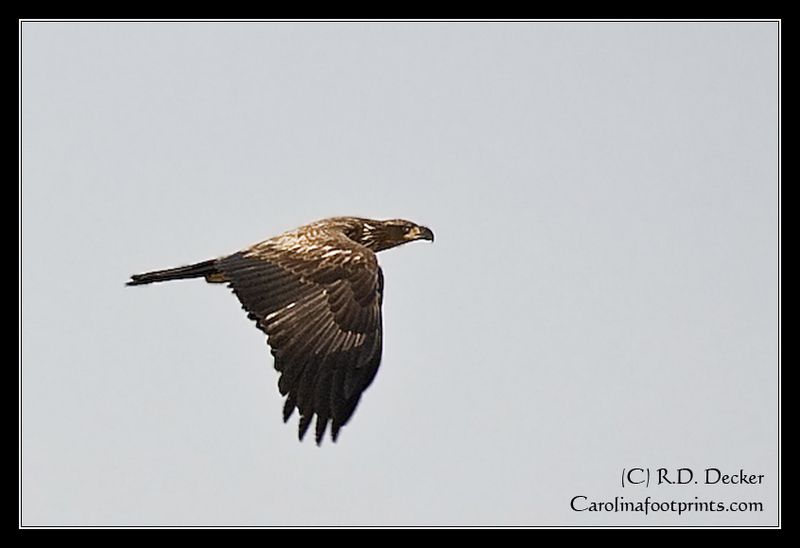 Below are pictured an adult and an immature Bald Eagle. 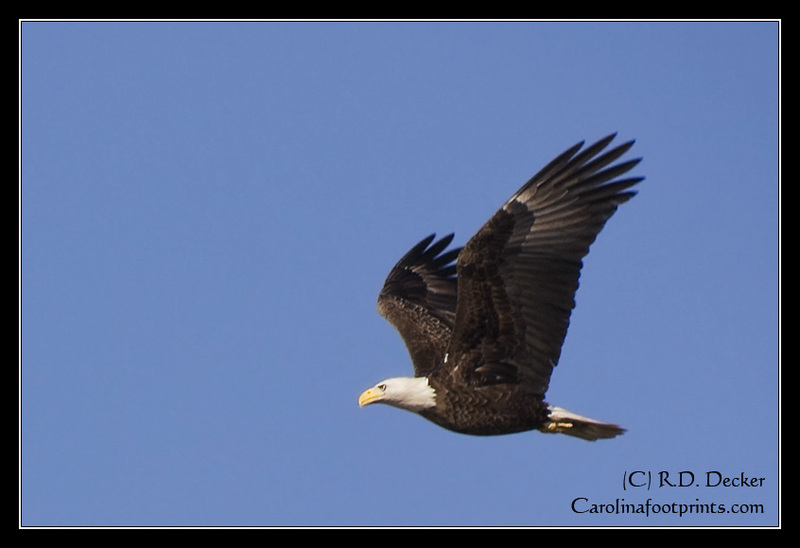 While both were photographed near Lake Mattamuskeet I have seen Bald Eagles on three occassions around the Crystal Coast.